I'm going away for a week, to the summercamp of the organisation Queer Youth in Norway. One of the topics of our discussions will be how the LGBT movement and the different religions can cooperate better and achieve more understanding, for the good of everyone. 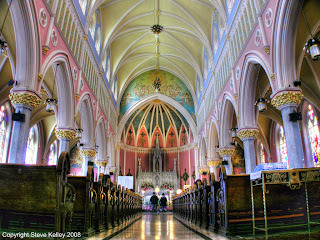 This is St. Bridget's church in New Jersey. It turns out that churches can be a lot of things.